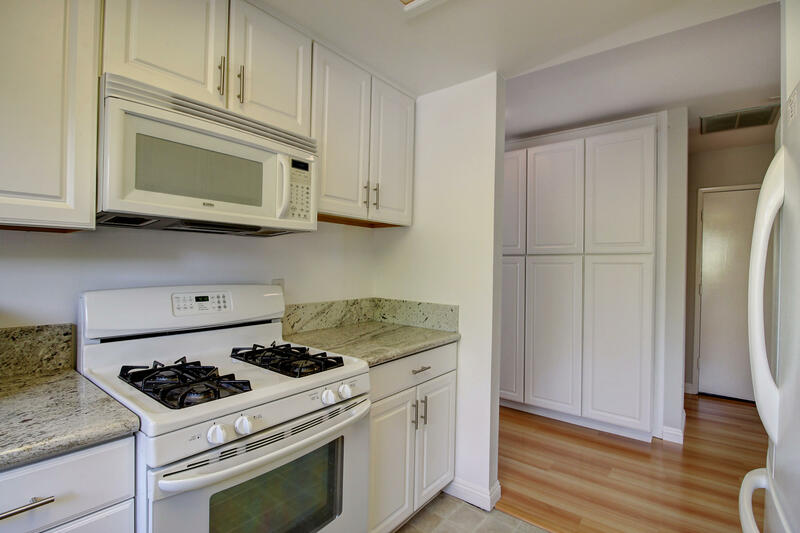 Much more like a house than a condo! 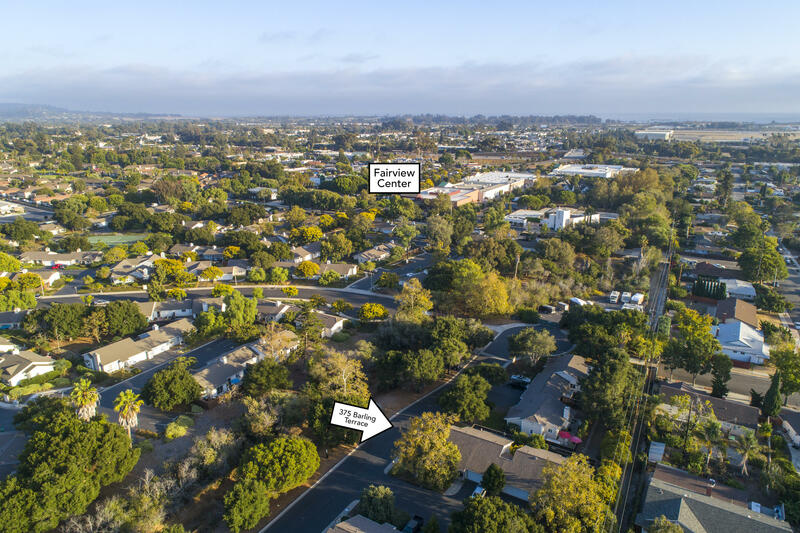 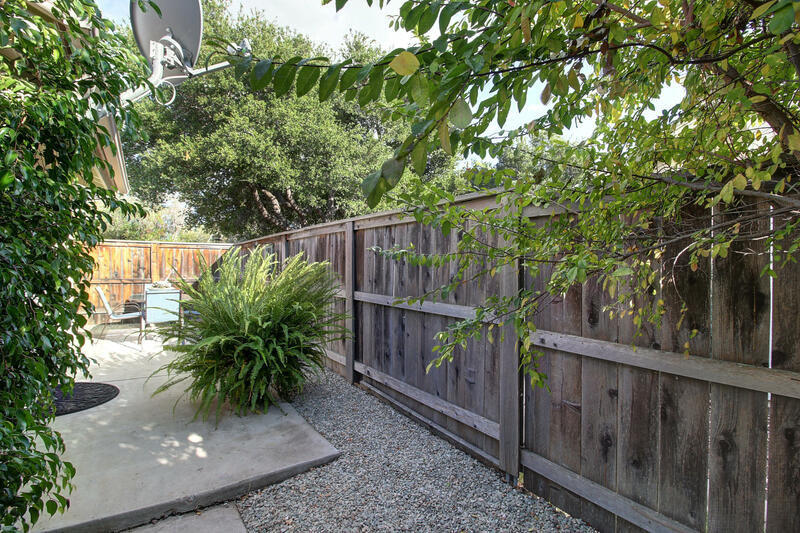 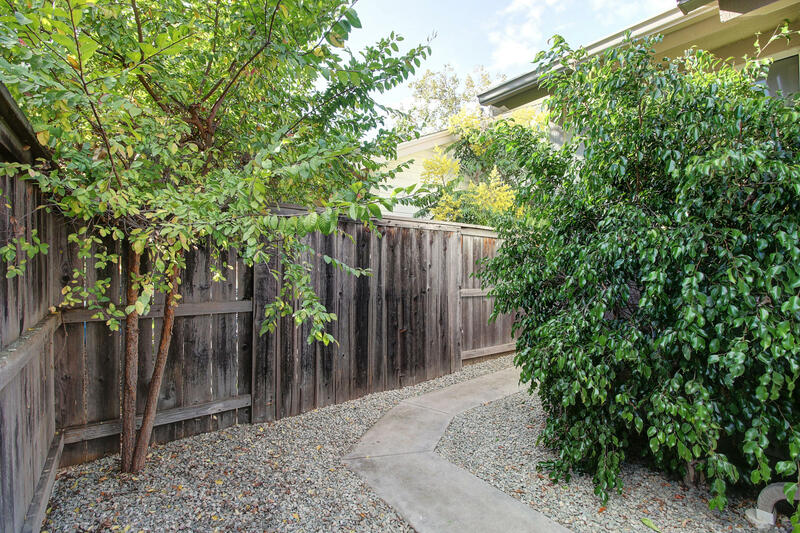 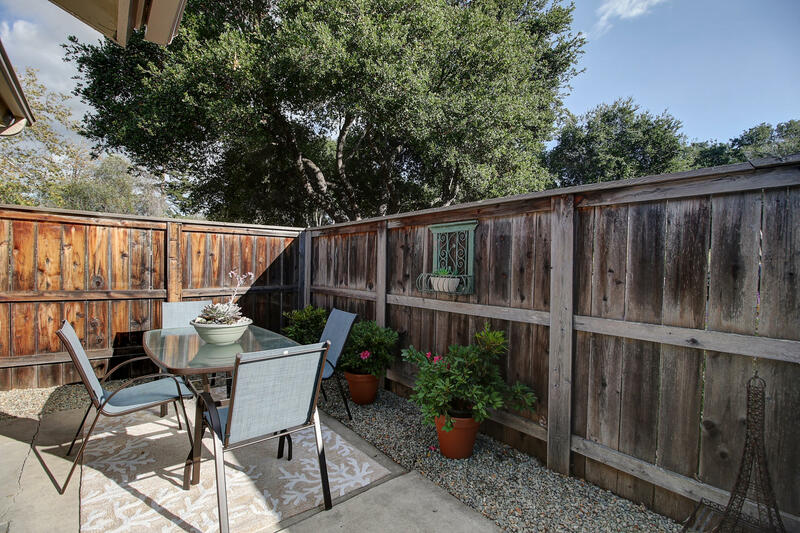 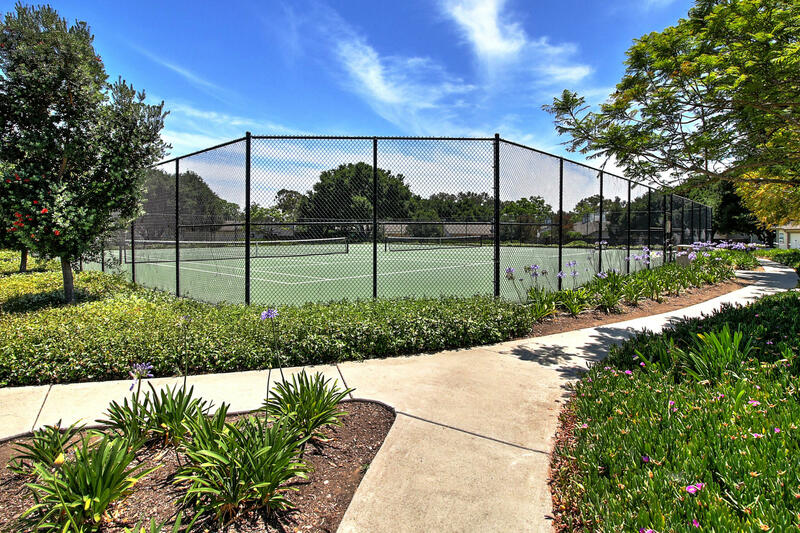 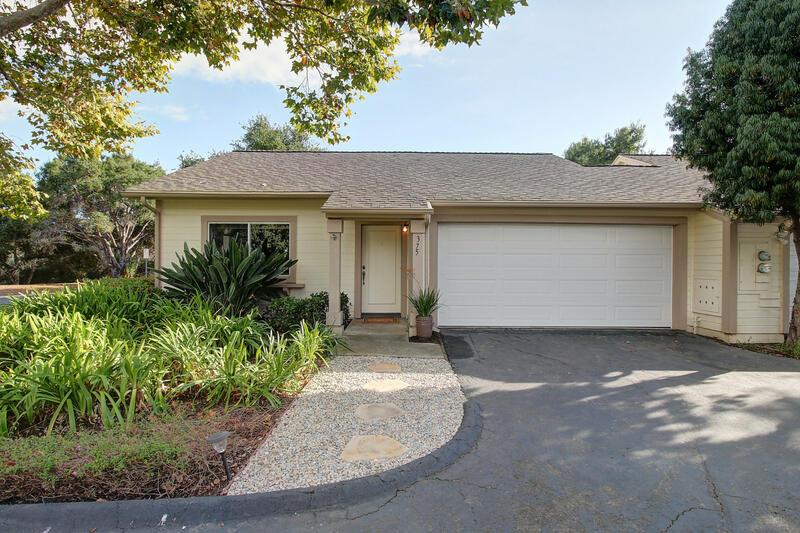 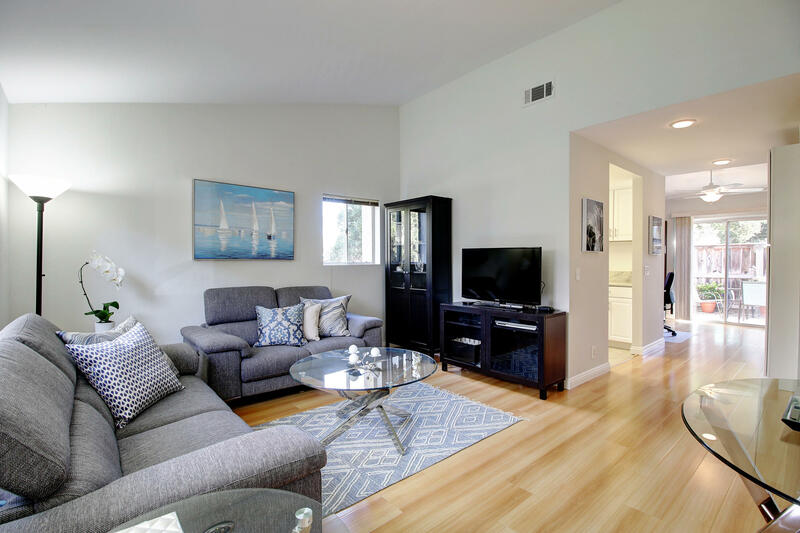 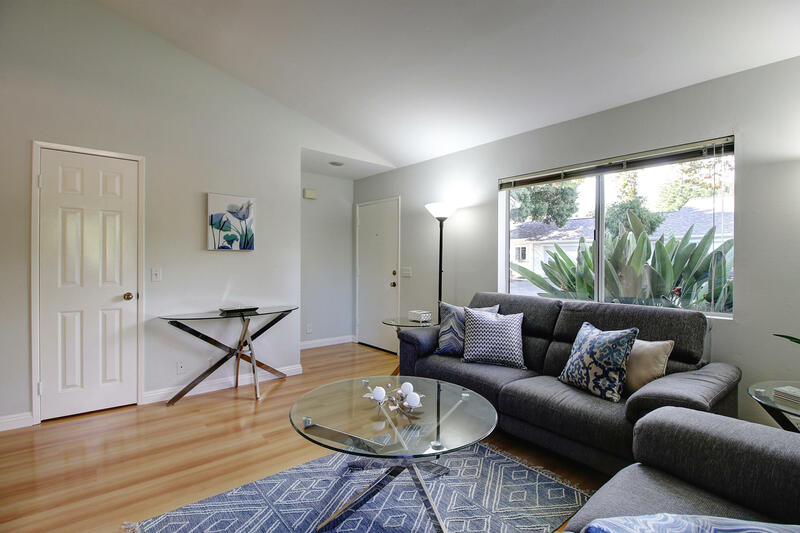 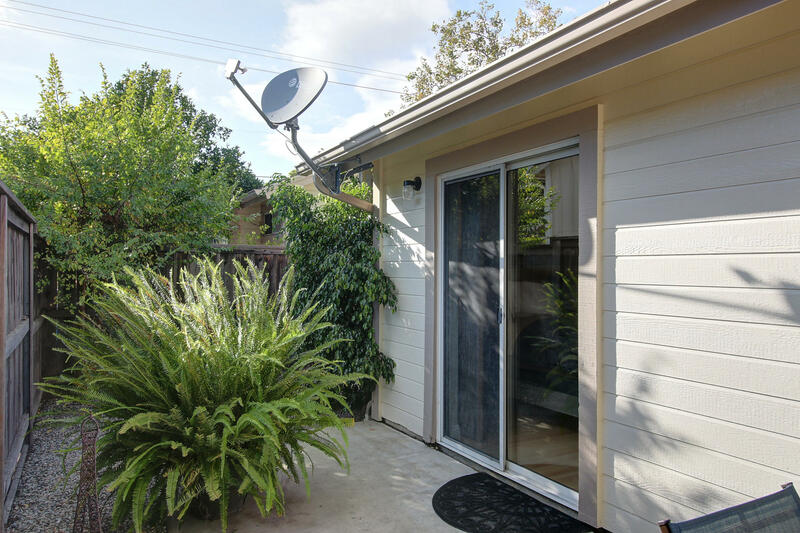 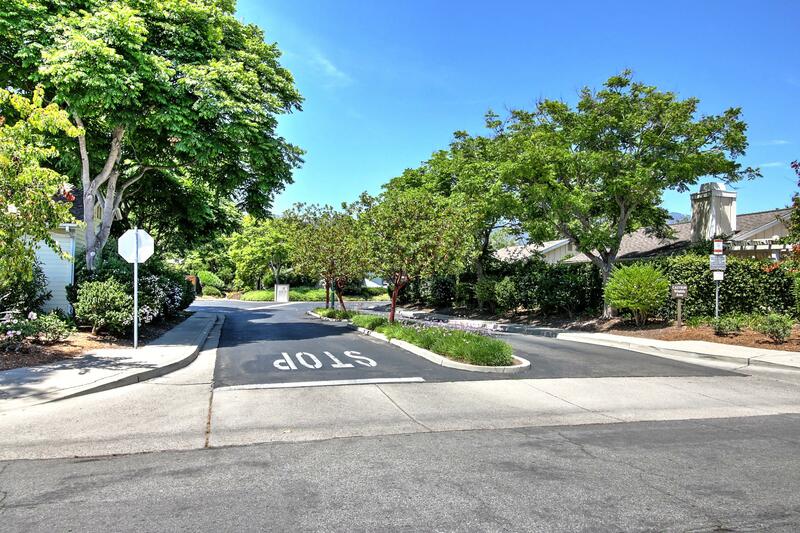 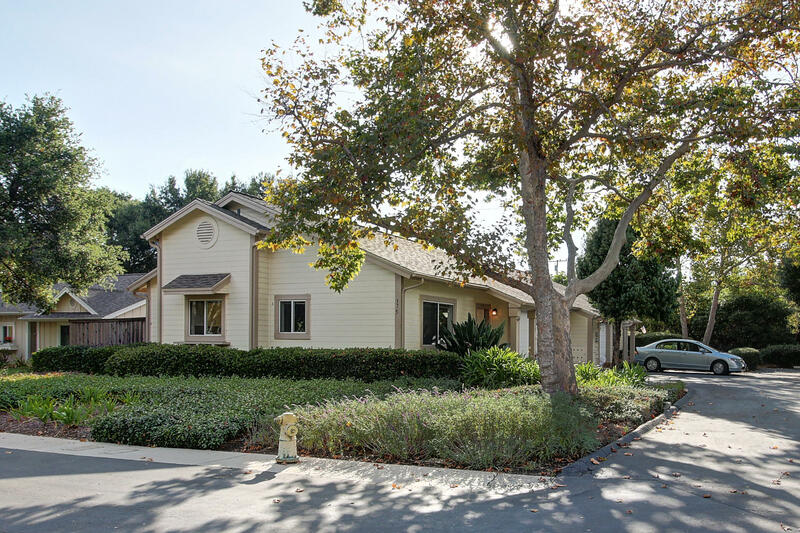 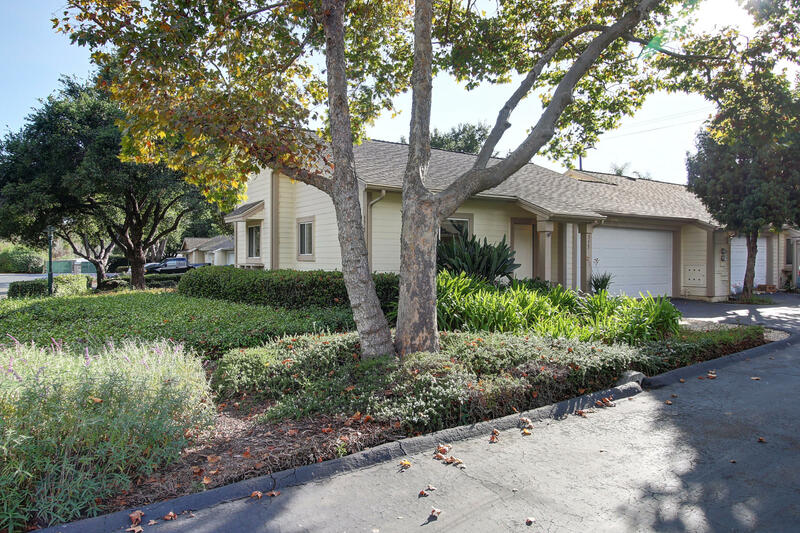 Nestled on a private, tree-lined lane, this stylish one-bedroom cottage is located in the beautiful Meadows planned unit development in Goleta. 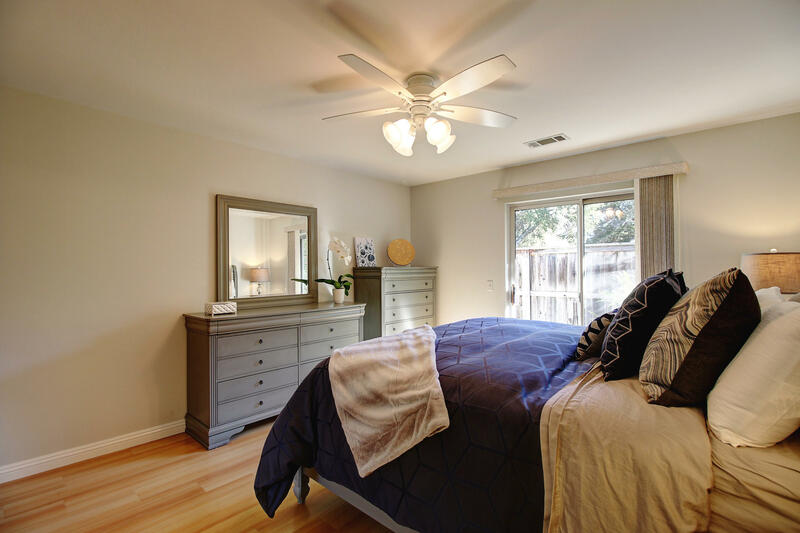 The home features gorgeous luxury laminate flooring, vaulted ceilings, and plenty of light from the large windows. 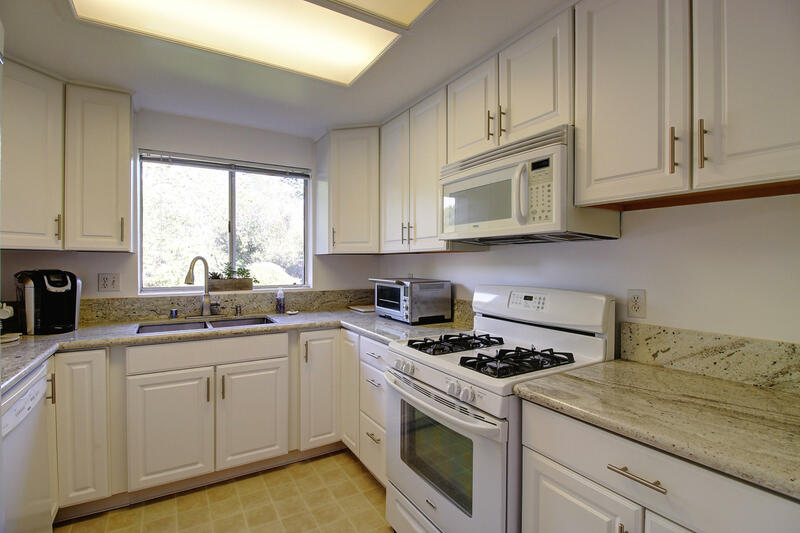 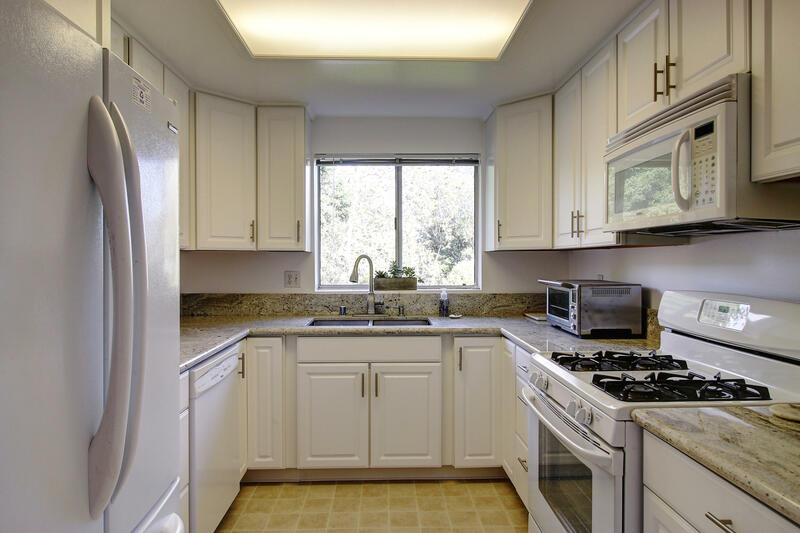 The bright kitchen has been updated with new cabinets, granite counter tops, a double stainless-steel sink, and an extra deep pantry. 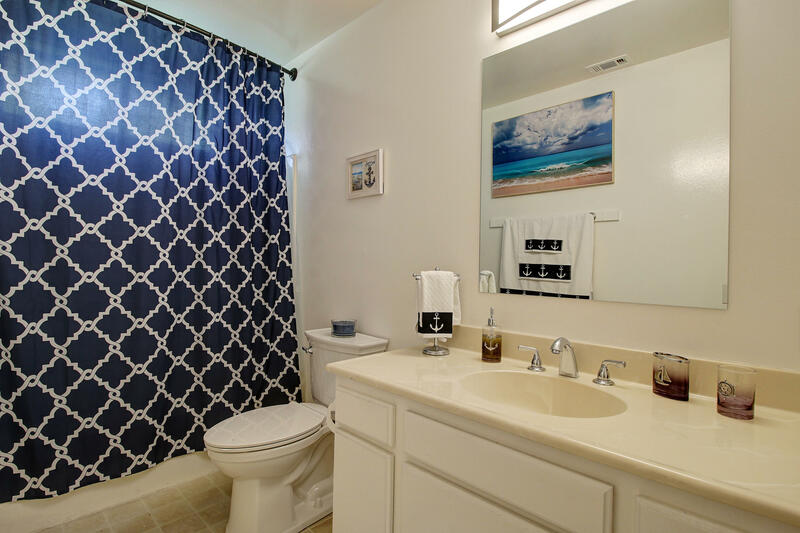 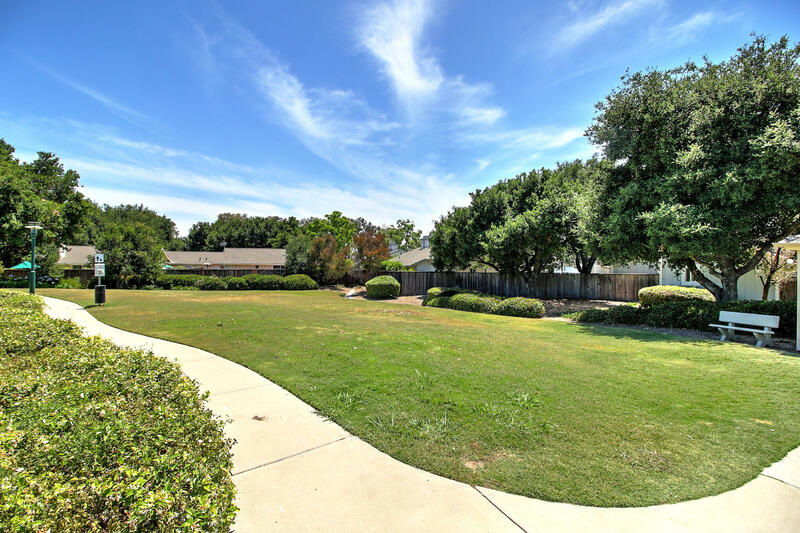 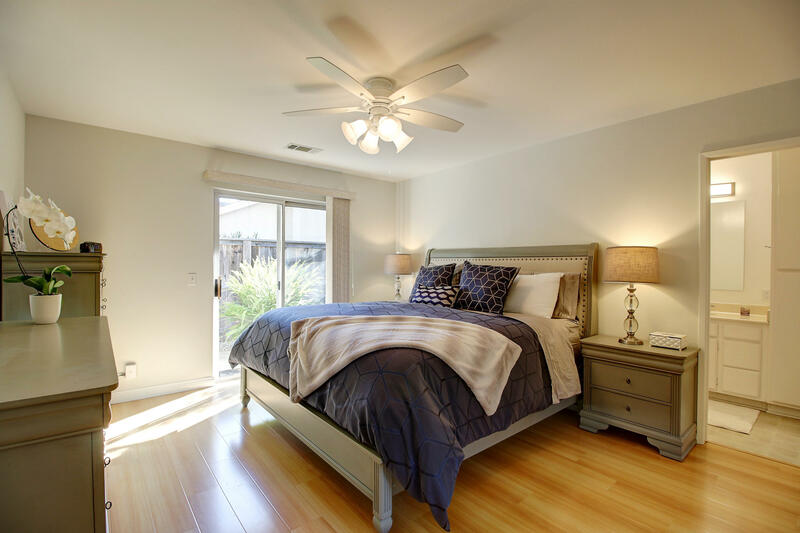 The master bedroom is spacious, has an en suite bath, and features sliding glass doors that open to the back patio. 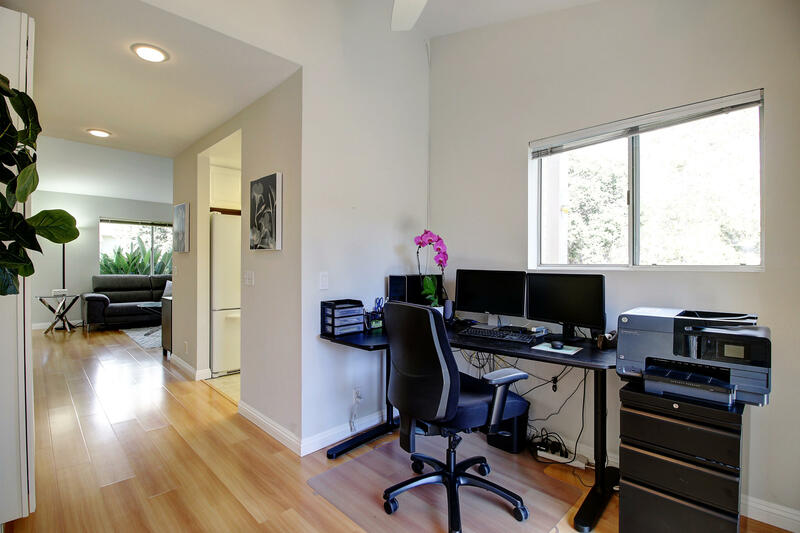 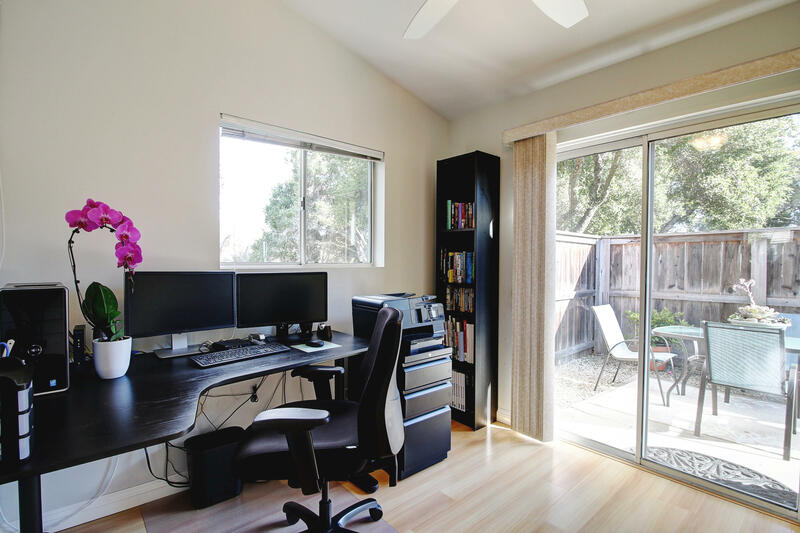 This floor plan offers an additional room that could be used as a dining room, home office, or den, and the attached two-car garage provides plenty of additional space. 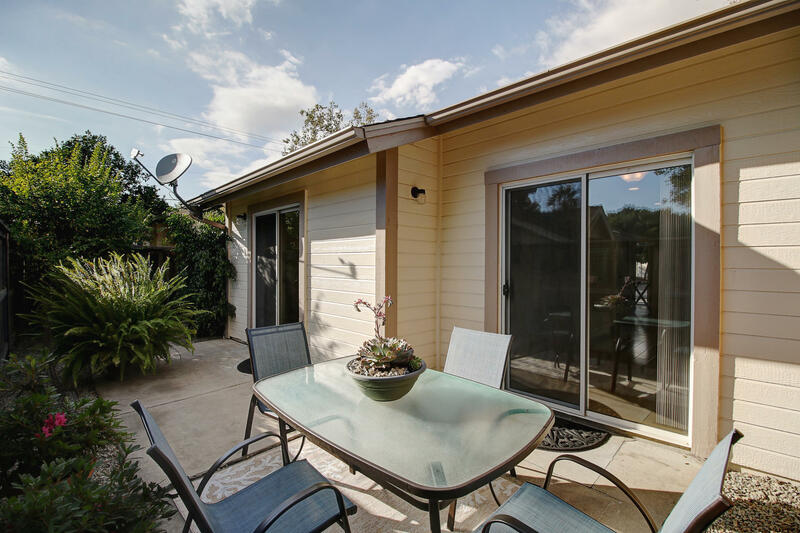 A private back patio offers a delightful area for outdoor dining, too.